With the advent of digital marketing, sales and marketing activities are moving closer together than ever before. If you haven’t thought about it yet, you may want to consider just how and why marketing automation has become essential to your dealership’s sales strategy. Why have sales and marketing been marching steadily closer together? The answer lies in technology. As new technologies come into play, they’ve changed the way auto dealerships both market and sell. Consider the internet for a moment. Even ten years ago, it wasn’t absolutely essential to have a website. Today, not having some kind of web presence is almost unthinkable for an auto dealership or almost any other business. The technological revolution of sales and marketing didn’t end there. As time has gone on, new tools have become available to assist your sales and marketing teams with their work. Your website allows your marketing team to collect customer information and target promotional emails to certain people. By contrast, it provides a method of contact for getting in touch with your sales team. One topic of discussion over the last few years, in both the automotive industry and outside of it, has been the alignment of sales and marketing. As technology offers up new tools, both sales and marketing have been using them for slightly different purposes. Turning back to the website, for example, your sales and marketing teams both have access to the data the website collects from visitors. The two teams may use this same information, just to different effects. Marketing will use demographic information to better target their campaigns, while sales will use information about individual customers to address customers’ needs and have more relevant conversations with prospects. To be most effective, sales and marketing need to share information, both about leads and how they’re contacting them. They’ll also share materials. In an ideal world, sales communicates the kinds of materials they need to the marketing team, and the marketing team instructs sales on how to effectively use the materials they do create. Where Does Automation Fit In? Automation has advanced over the past couple years. As artificial intelligence improves, more tasks can be turned over to the machines. A good example might be social media post scheduling. Your team creates the post then adds it to your social media scheduling tool. The tool determines the optimal time and date to post, schedules the post, and then ensures it gets posted. There are many other activities currently being automated, many of them within the marketing realm. It should be clear why this is a good thing for your dealership. Your marketing staff can get more done more efficiently. They can turn their attention to the tasks that truly need human attention instead of getting caught up in tedium. Marketing automation clearly benefits marketing and impacts marketing strategy. You might wonder how it impacts your dealership’s sales strategy. With the increasing move to sales and marketing alignment, anything affecting marketing is bound to affect sales. In essence, marketing automation allows your marketing team to become smarter and more efficient. As marketing is designed to support sales in many cases, your sales team is going to need to know what’s happening in marketing and how to strategize for it. Since marketing automation makes the marketing team more efficient and allows them to better target potential customers, sales should be prepared to address individual customer needs. They should know how these leads were contacted so they can respond appropriately. These are only a few of the adjustments you may make to your sales strategy based on the adoption of marketing automation. 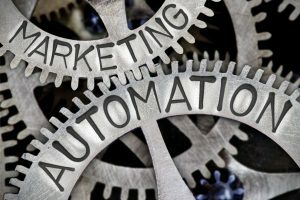 What should be clear is marketing automation has become essential to the sales strategy, as it will help you discover more potential leads and engage in conversations with them.